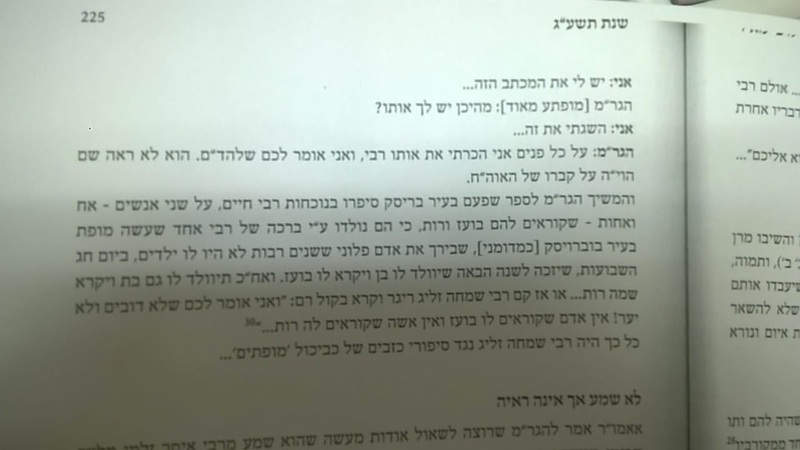 Circus Tent - הירשל ציג'ס בלאג: What's Shimmy Meller up to in his new book on Reb Meir Soloveitchik? What's Shimmy Meller up to in his new book on Reb Meir Soloveitchik? Not sure why Shimmy sees the need to publish such statements; Is the matzav there so bankrupt that they need to laugh at others just to keep the people in line? Then there's Agav piece. Once we're attacking the Rebbelach let's go all the way. After all, they were Mizrochnikes, and Loshon Horah is a Mitzvah when it comes to them. 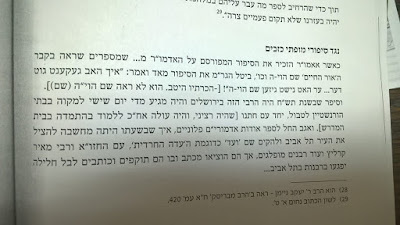 The צושטעל to the Brisker dayan and that story is classic. Apples and oranges is an understatement. 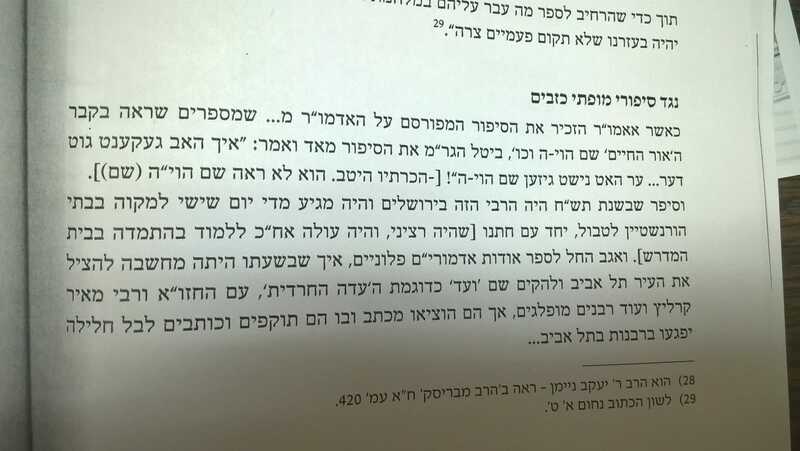 maybe it's time that "Kehot" prints a collection of 'there' Rebbe's opinion factual documents and others, of his opinion on exposing the "truth colors" of Zionism in our times. He explicitly asked for it!. "maybe it's time that "Kehot" prints a collection of 'there' Rebbe's opinion factual documents and others, of his opinion on exposing the "truth colors" of Zionism in our times. He explicitly asked for it!." Google it, it's freely available here and there only, but much more is available. The Lubavitcher was vocal in words and print with enough litrature to fill a volume explaining it in detail. thinks took a turn downward after the Shazar episode, the 'hakaras hatov' how innocent he meant it, started the germination and now they are joint at the hip, although I'm confident this wouldn't of happen so was he really around..
" thinks took a turn downward after the Shazar episode,"
Did they stop eating kosher? or they made Mivtza Kashrus? Did they stop taharas hamishpocha? or they made Mivtza Taharas hamishpocha, and build a 1000's Mikvoath worldwide. Did they stop putting on tefilin? or they are putting on 2 pairs of tefilin and did Mivtza tefilin? 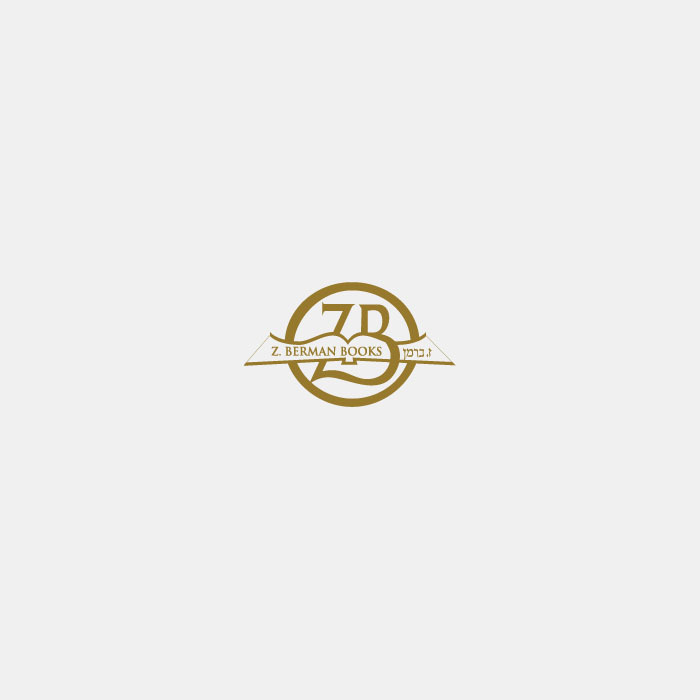 Did they stop believing in Moshiach? or they believe In Moshiach as realistic, that he is residing Brooklyn someplace? ווי אויך איז מלר מוציא לעז אין די ביכל אויפן מעשי למלך אז ער איז געווען פאר די "מזרחי" נאר צוליב א בריוו פון "בריסקר רב" הגר"ח האט ער זיך אפגעלאזט דערפון. בקונטרס "ומעין מבית ד'" מובאת התכתבות בין אדמו"ר הרש"ב לרב אהרונסון בקשר להתנגדות של הרבי לתנועה הציונית. במכתב התשובה של אדמו"ר הרש"ב, מבוארת הבעייתיות שבשיטה זו. שלכן גם לחם ברעיון הציוני. הרבי דוגל בשיטה שיש להפריד בין האיש" והשיטה"
1000s of mikvaos. Why stop at thousands? If you truly believed in the Rebbe, you would say tens of millions. So believing he resides in Brooklyn is the equivalent of building mikvaos. Interesting. Reminds me of a guy that I met that told me that he was more Jewish than me, because I only believed in one God and he believes in 17 of them. "Chortkover/Husyatiner Chassidim are up in arms." The only one, whom this idiot is embarrassing , is R'Meir himself. No more comments needed. We, Rizhinier chasidim, do not give a flying.....(fill up the blank) about what some Litvak holds of our Rebbes. We know that. Galicianer always have problems with self esteem. "אויך איז מלר מוציא לעז אין די ביכל אויפן מעשי למלך"
he was in Vitzen, he was in Lita? did reb chaim have a tweeter account? Did the Shabsoim daven every day? eat kashrus? should we all stop doing everything now because they did it? Why did the Kruler ruv say torah in the dark? 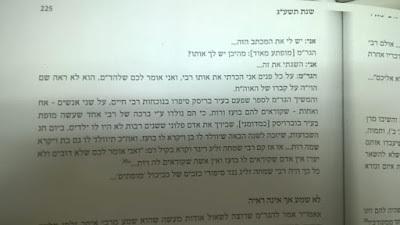 I heard many times satmar chasidim(pertaining to the ruv that lives upstate who married a modern Hebrew speaking woman) saying that Rav Kook also said shalash sudas torah in the dark? ". Reminds me of a guy that I met that told me that he was more Jewish than me, because I only believed in one God and he believes in 17 of them"
write the dear blogmeister to set the record straight on this sugya. with credible notes and foot notes. "a collection of the Rebbe's opinion factual documents and others, "
Dear, he was not the last. His son Siach Yitschok(Harav Yitschok Friedman) was. "But Reb Meir האט גוט גיקענט דער... because he saw him in the Mikvah... נישטא ווער זאל לאכען...."
המיטה מובאת אל פתחו של בית הכנסת חב"ד שבמאה שערים, ומתוך הקהל מפציעה דמות צעיר בניו של מרן גאב"ד בריסק. כאן נופלות המחיצות, כאן נפגשים בריסק וחב"ד. "what exactly are you asking?" מכתב מהגה"צ רבי חיים סולובייצ'יק מבריסק ז"ל.
fact checker Monday, March 19, 2018 1:34:00 PM "אויך איז מלר מוציא לעז אין די ביכל אויפן מעשי למלך"
how could that be? he was in Vitzen, he was in Lita? did reb chaim have a tweeter account?" The book doesn't mention names ! It is only in this blog that the names get revealed. So...The only one saying Lashon Harah here is Hirshel Tzig. And then uses it as segway to go on saying lashon harah on all Briskers about how they talk LH all day,every day. Talk about irony. "מ'זאל נישט מאכען פון די מצה א פרעס"